If you’re going off travelling on any kind of budget and you’ve not got a pair of binoculars in your backpack, you’ve not got your eye in. 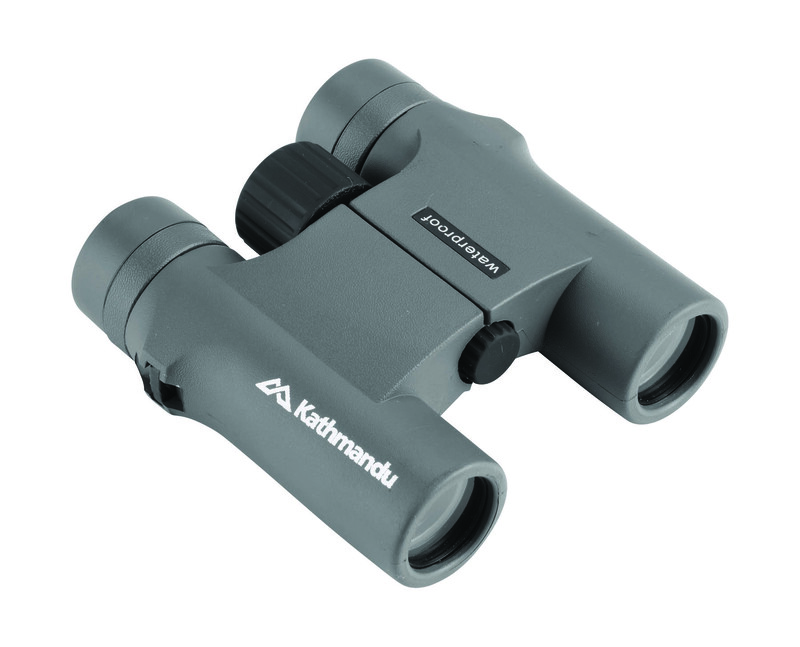 these small, light and easily packable waterproof binoculars give you something extra when you completed your assault of that mountain or volcano, or you need some emergency magnification while you’re in a nature reserve or on a safari. Always pack light. As well as weight – these from Kathmandu weigh a mere 290g – another thing to consider is how hard-wearing your binoculars are. You’ll likely be using them outdoors, at dawn and dusk when moisture level can be high, possibly during the rain and perhaps on-the-go during a walking safari with a guide. These good value binoculars, which come complete with nylon pouch and cleaning cloth, have twist-up eyecups and a very grip-able rubber-like coating. With decently high magnification, this durable pair is waterproof – technically for five minutes in a metre of water (any deeper and the pressure will force water in). That’s just enough time to dive into the Amazon after them, then. Don’t expect crazy-good optical performance, but these binoculars’ don’t-mind-losing-them price tag is perfect for backpackers.